Rarely has a sequel to a superhero movie preceded by so much expectation. Brothers Christopher and Jonathan Nolan breathed new life into the Batman franchise with "Batman Begins" and finally gave The Dark Knight that serious treatment which it demanded. The previous incarnations quickly fell into oblivion when the brothers took over. Already at the end of "Batman Begins" we were hinted that the main villain in the sequel "The Dark Knight" would become the Joker (Heath Ledger), and immediately speculation began to arise. Heath Ledger died after shooting the movie and could not reap the fruit of his last effort. This is Heath Ledger's movie altogether. No one can say otherwise. Even though he is in the film's first scene, and coordinates a rather different bank robbery, it's not until 20 minutes into the film, when he really introduces himself that we accept his version of the Joker. There are three magical minutes when he meets with all of Gotham mob bosses (of whom he had stolen $ 68 million as a result of the bank robbery) and have a little chat with them. He does a little magic trick with a pencil and that seals the deal. The Joker’s reason to talk to mafia bosses? He offers to kill Batman (Christian Bale), as he is the only one who can put a spoke in the wheels of their business. Joker use half of their total money, which they initially of course disapproves. But eventually they fold for the Joker's demands - he is just as dangerous for them as for the rest of Gotham. Batman has previously condemned the Joker as a small time crook in search of mafia bosses, but when the Joker begins killing people and do not intend to stop before revealing Batman’s true identity, Batman realizes that he is dealing with a completely psychopathic terrorist. 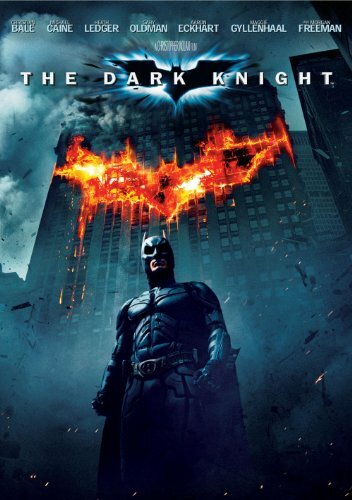 To help him he has his old police colleague Jim Gordon (Gary Oldman), the driven district attorney Harvey Dent (Aaron Eckhart), ex-girlfriend Rachel (Maggie Gyllenhaal), resourceful inventor Lucius Fox (Morgan Freeman) and faithful butler Alfred (Michael Caine). 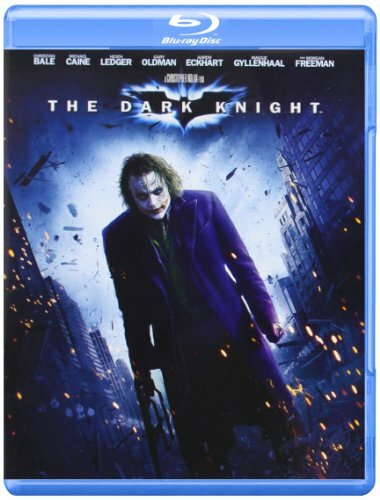 The Dark Knight is a long film (about 2.5 hours) and has a complex and wholesome plot, which actually could be divided into two movies, but there is a point with the whole, and all the situations in the Joker's diabolical plan. Although one would not have wept if the movie was about half an hour shorter. It feels a little wrong to say that Christian Bale has the lead role, although he does his role with the same gala as the previous film, but as previously said; this is the Heath Ledger movie. He defines the Joker, as simple as that. All mannerisms and the ticks he seasoned the role with are just simple little details that really give life to the sleazy villain. You never get to know much about his background or normal life. It's pretty obvious that he has a great intelligence and has unimaginable resources, but much more than that, we do not know and I think it's great. It leaves a mystery behind it that is appealing in its own way. It is easy to forget in Heath Ledger-fog that even Aaron Eckhart probably makes his life role as Harvey Dent (Two-Face), a character previously in the franchise pulled sharply into the dirt of a total of over-acting Tommy Lee Jones. Eckhard gives the character the two faces of the literally need, its extremes, its differences. First, the natural hero of high moral standards, the one who cleans up the mess and work in the service of good. And then, when he lost everything, to turn things around and become a bitter, mentally and physically damaged avenger. He is certainly not a bad guy, but is prepared to take any means necessary to administer his now two-part image of justice. As you can imagine, The Dark Knight was one of the year's big movies, and a superhero movie that takes the whole genre to another level. A rich and intricate story that happens to have a bat and a clown in the lead roles.